Always have a clean litter tray on hand! You love PetSafe's ScoopFree Litter Box because you never have to touch stinky waste with it, right? Make sure you always have plenty of extra clean trays on hand so you can follow your recommended tray replacement schedule! Covered waste trap on each tray locks in odor and leaves the litter box smelling fresh. Low-tracking crystals don't stick to kitty's feet and are 99% dust free. Absorbs urine on contact and dries solid waste to reduce odor. Trays can be conveniently stacked for storage. Trays come individually, or in a 3-pack. Save 16% when you buy the 3-pack! 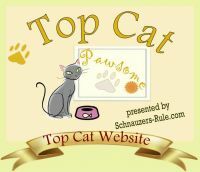 Click here to shop all our Cat Potty Time products!